First and foremost, can I use an extra few thousand to several tens of thousands of dollars in my pocket? Simple answer there…everyone can use extra money in their pockets these days. When you sell your home by owner directly to a buyer, you are typically saving 6% off the sales price of your property. As an example, with a home price of $250,000, you can save $15,000 in commission by selling by owner directly to a buyer. If you’re offering a buyer’s agent a 3% commission, you’re still saving $7,500 that you can either put in your pocket or apply it towards reducing the price to make it more attractive to potential buyers. 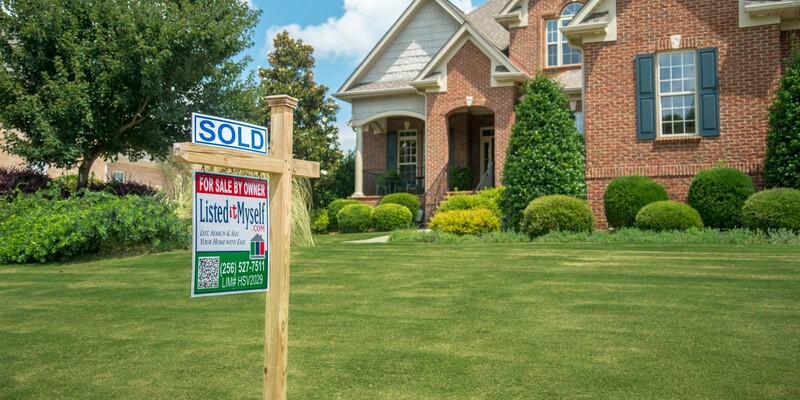 If you want to sell your home and potentially save many thousands of dollars, For Sale By Owner can be the right direction for you, and ListedItMyself.com can help. Can I remove emotional attachments to my home? When you have lived in a home for an extended period of time, you build up a catalog of great memories of family and friends, good times and bad. When you decide to sell your home, you need to remember that you are selling the house…you get to keep the memories, but you are selling the house as a commodity. You must be able to separate your emotional attachment to the physical house to be able to effectively market your home. We have had customers in the past receive multiple offers on their home, but because of strong emotional connections to the home, were unable to pull the trigger early on so the process dragged on much longer than if they had separated their emotions from the sale. Can I price my home reasonably? Similar to the previous point, a huge thing to remember is that sentimental value does not equate into dollar value to anyone except for you. If you can price your home competitively with other homes in your area and keep sentimental value out of the equation, FSBO can be a good fit for you. To make sure you have your house priced competitively, we would suggest having a professional appraisal performed. That way you know you’re not leaving huge sums of money on the table, and your potential buyers have something solid to look at to know they are not paying too much (and that they will likely be able to secure a mortgage based on the home value). If you do not want to pay for an appraisal, at a minimum, drive through your neighborhood and see what similar houses are listed for, and price your home accordingly. Other free sources of information include researching “Recently Sold” properties on sites such as realtor.com or on Zillow. Am I available to show the house? If you or a family member are available and willing to show the house, For Sale By Owner can work for you. If you are accepting agents, often, they will want to show your house to their client when they are together and not necessarily on your schedule, so you should be prepared to allow access while you’re at work, at a ball game, etc. This can easily be done by getting a lockbox from a local hardware store and give out the combination once you have verified who the agent is, who they work for, etc. Be prepared to change the combination periodically as a precaution. If you are the type of person that folds like a lawn chair in a negotiation, you might need someone else to do it for you. However, if you have a target and know what you need to get out of the sale of your home, you are a relatively good judge of how much interest the potential buyer has in your home, and you are reasonable and fair, you can negotiate the sale of your home and For Sale By Owner can work for you. Can I handle the paperwork associated with the sale of my home? If you can, that’s great, if you can’t, no worries…that’s what real estate attorneys are for. Once you come to agreement with a buyer, take your contract to a closing attorney and they will give you an outline of what needs to be done and when so closing can happen in an orderly process. If you don’t know a local closing attorney, please contact us. We have closing attorneys that have been recommended to us by our many happy customers. Selling your home by owner can be a very rewarding experience…both in terms of the money you can save and the satisfaction of knowing you did it yourself. Hopefully some of the information we provided here will help you decide if FSBO is right for you. Thank you for reading our post. If you think For Sale By Owner is the route you’d like to take, we would love to help you advertise your home. Just remember, YOU CAN DO IT, and we would certainly love to help! Welcome home to your new source for all things dealing with the For Sale By Owner (FSBO) process!